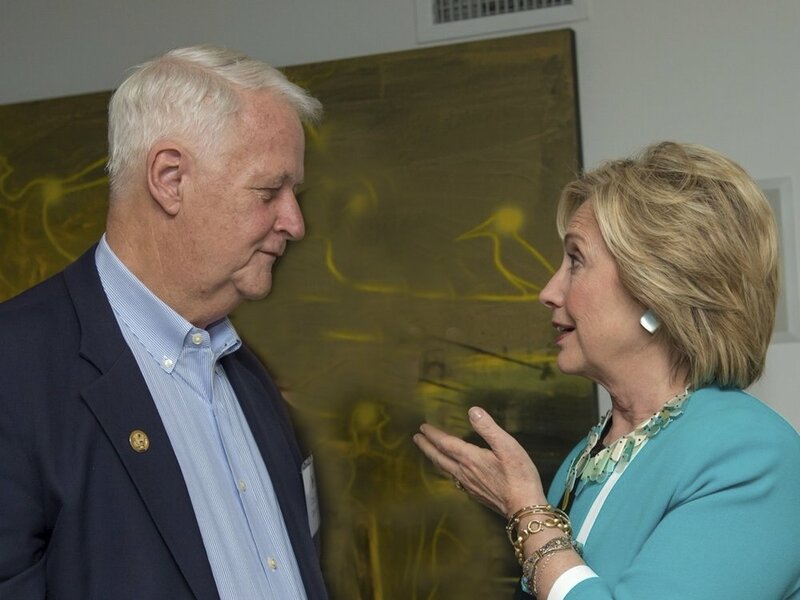 Led by former Congressman Bill Delahunt, The Delahunt Group has built a team of seasoned international specialists from the public and private sectors. Our team is multipartisan, with experience working in Republican and Democratic administrations in the United States as well as across the political spectrum in key global markets. They include the following: former chiefs of staff (executive and legislative), former White House officials, journalists and business leaders as well as prominent scholars with specialized expertise. We have established relationships with governments on every continent that allow our clients to expedite answers to their issues and concerns. 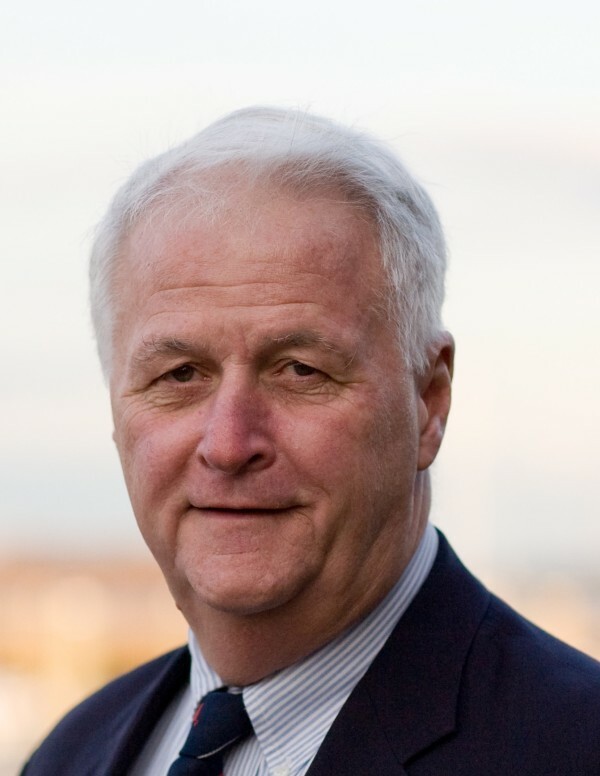 Bill Delahunt is the Chairman of the Delahunt Group, a premier public policy and government affairs consulting firm. Delahunt came to Congress in 1997 with a distinguished career in public service and law enforcement. For fourteen years, he represented the Tenth Congressional District of Massachusetts – which includes Cape Cod, the Islands of Martha's Vineyard and Nantucket, and the South Shore. In Congress he served as a member of the House Judiciary Committee and the House Foreign Affairs Committee, and recently served as the Chairman of its Subcommittee on Europe. Prior to his service in Congress, Delahunt was a District Attorney in the metropolitan Boston area for twenty two years. He is known for having developed the country's first prosecutorial unit on domestic violence and sexual assault cases. Delahunt pioneered programs to combat violence against women that have become national models. As a District Attorney, Delahunt attracted some of the most talented trial attorneys in the country. Over forty former prosecutors from his office went on to serve in the federal and state judiciary, including Massachusetts Supreme Judicial Court. Many have also gone on to high profile positions in the private and public sector, including a U.S Attorney for the Massachusetts District. As a member of the Judiciary Committee, Delahunt brought his two decades of experience as a prosecutor – and lifelong commitment to safeguarding civil rights – to the federal arena. During the Clinton impeachment proceedings, Delahunt served as one of the leading Democrats on the Judiciary Committee. While on the Committee, Delahunt also served on its Intellectual Property Subcommittee, which has jurisdiction over patent reform and legislation of importance to the "high tech" community. Current Chairman of the Judiciary Committee Lamar Smith has praised Delahunt's work and noted his bipartisan approach to lawmaking. He called Delahunt "that rare member of Congress who has both Democrats and Republicans as good friends. Our respect comes from his ability to stick to his principles." In 2009, the Washington DC newspaper, The Hill, surveyed Republican Members of Congress and rated Delahunt as one of the top ten most bi-partisan Democratic legislators in the House. Delahunt's ability to work with both political parties helped play a pivotal role in the passage of several legislative proposals he authored, including the Justice for All Act and the Travel Promotion Act and legislation streamlining international adoptions. Delahunt also introduced the first House proposal to establish the Consumer Financial Protection Agency, which was eventually incorporated into the final Financial Reform law enacted in 2010. While on the House Foreign Affairs Committee, Delahunt was a respected leader on policies toward Latin America and Europe. In the 110th Congress Delahunt was named Chairman of the Subcommittee on Oversight and International Organizations with jurisdiction over foreign aid and export assistance programs and human rights. His Subcommittee helped bring about a firm timetable for the withdrawal of troops from Iraq. President Barack Obama also appointed Delahunt to serve as the Congressional Delegate to the United Nations. As Chairman of the Europe Subcommittee, Delahunt had oversight of key aspects of United States foreign policy in Europe. He focused significant attention promoting initiatives to reverse the declining image of the United States in Latin America, Europe and around the world. He also worked to improve diplomatic relations throughout Latin America and developing public diplomacy initiatives such as student and diplomatic exchanges. He has led the effort to lift travel restrictions imposed on Americans who seek to travel to Cuba. Over the years, Delahunt has developed important relationships world leaders and Ambassadors. 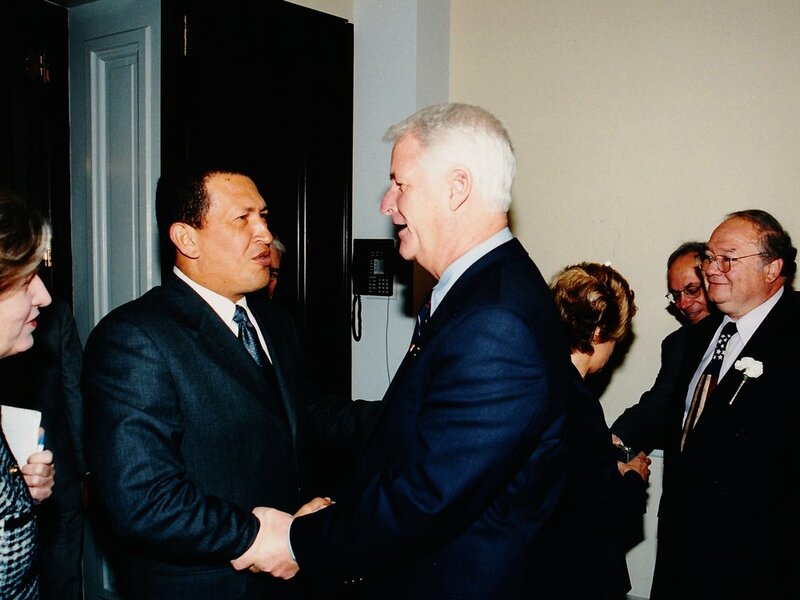 His relationships with Venezuelan officials enabled Delahunt to negotiate an agreement to cut the cost of home heating oil delivered to low income families in the northeast. Delahunt has led delegations to a number of countries in Europe and has hosted trips by foreign delegations. In the Congress Delahunt served as co-chair of the bipartisan Coast Guard Caucus; Older Americans Caucus; and the Congressional Working Group on Cuba. Closer to home, Delahunt was instrumental in working towards the redevelopment of the South Weymouth Naval Air Station, expanding marine transportation services, and promoting economic development in areas such as renewable energy, "bio-fuels" and ocean technology. He was a strong booster of heritage tourism, wetlands restoration, and a fierce defender of the region's ocean sanctuaries and National Parks. On Cape Cod, he led efforts to clean up the Massachusetts Military Reservation and the establishment of the 15,000 acre Upper Cape Water Supply Reserve to protect Cape Cod's water supplies. He also worked to save the base during the last round of BRAC and developed a plan to make it a regional center for homeland security. Delahunt also secured funds to expand the region's public transportation system and bike trails, and helped expand local health care clinics, including establishment of the first primary care center on the Cape and Islands for veterans. He actively sought ways to promote "consensus" between environmental and business interests. One example is his role in creating an innovative whale-safe gear program for local fisherman that was actively supported by environmental groups. A lifelong resident of Quincy, Delahunt is a 1963 graduate of Middlebury College in Vermont, Mr. Delahunt later went on to earn a law degree from Boston College in 1967 and served from 1963 to 1971 in the Coast Guard Reserve. Forest is a problem solver, with a track record of helping local communities obtain funding, regulatory approvals and permits for economic development & environmental projects. He also has a background in communications & media relations. He started his career in local government as a Town Manager, then joined the staff of Congressman Gerry Studds. After Mr. Studds retired from Congress he joined the staff of Congressman Bill Delahunt and became his Chief of Staff in 2005. He understands the workings of Capitol Hill, and knows his way around federal, state, county & local government. In Massachusetts, communities throughout southeastern Massachusetts relied upon his assistance to undertake numerous transportation, economic development and environmental projects. He is known for his success in securing federal and state funding, especially for the clean up of pollution at the Mass Military Reservation - now estimated at over $1 billion. He is also known for the successful campaign to win passage of the Cape Cod Land Bank - which has raised over $400 million and protected over 4,500 acres of open space; creating the 15,000 acre Upper Cape Water Supply Reserve - the largest conservation area created on Cape Cod since the National Seashore - the Upper Cape Water Supply Cooperative; and the successful redevelopment of MacMillan Wharf in Provincetown. He was also instrumental in transferring the South Weymouth Naval Air Station to south shore communities for economic development. Copyright © 2018 thedelahuntgroup.com, All rights reserved.